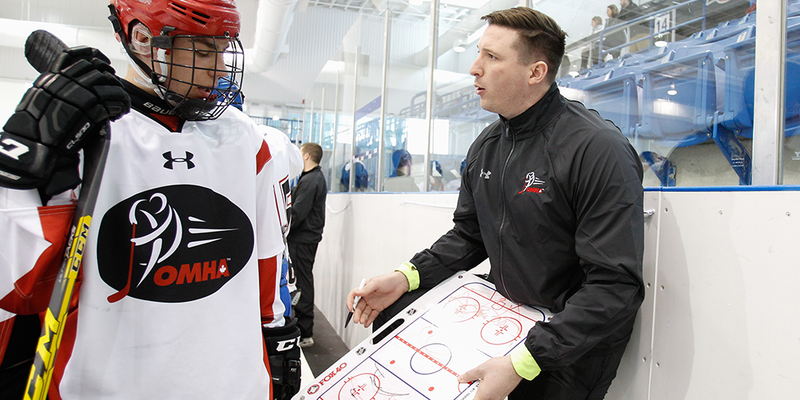 The Coaching Association of Canada & Hockey Canada introduced Certification Maintenance requirements nationally in January of 2014, in which a coach has 5 years to obtain a certain number of Professional Development (PD) points in order to maintain NCCP Coaching certification. The NCCP Instructional Stream & NCMP Specialty Clinics are a series of clinics that offer coaches practical sessions on teaching skills and tactics. These 3 hour clinics are composed of in-class and on-ice sessions and are facilitated by OMHA Instructors trained by Hockey Canada. The focus of these clinics is to assist the coach in developing the knowledge and skills to teach and develop age appropriate skills (based upon Hockey Canada’s Long Term Player Development model). Coaches can earn Professional Development credit towards renewal of NCCP certification. In the Instructional Steam, Coaches can work towards ‘certified’ status in each of the 5 streams as designated by the NCCP program of the CAC. The following programs provide additional professional development opportunities for our Coaches and carry value towards Certification Maintenance.